5-Star has 17 MEPs. When they applied to join ALDE a year and a half ago, some thought the temptation would be too big to turn them down, not least because this would allow the liberals to reclaim their status as the third largest faction in the European Parliament. The ALDE group has 68 MEPs and ranks fourth after the Eurosceptic ECR with 73. Others saw it differently. The pressure was high on ALDE not to appear opportunistic and ready to make ideological concessions, and the liberals rejected 5-Star’s application. As a result, 14 5-Star MEPs joined the Europe of Freedom and Direct Democracy group (where UKIP sits), while the other three defected to other groups. It is true that in January 2017 the leader of the 5-Star Movement was firebrand populist Beppe Grillo. Luigi Di Maio, a much more pragmatic politician, took over only last September. But the fact remains that a big opportunity was missed to open the way for 5-Star into mainstream European politics, or at least to extract them from the anti-establishment fringes. 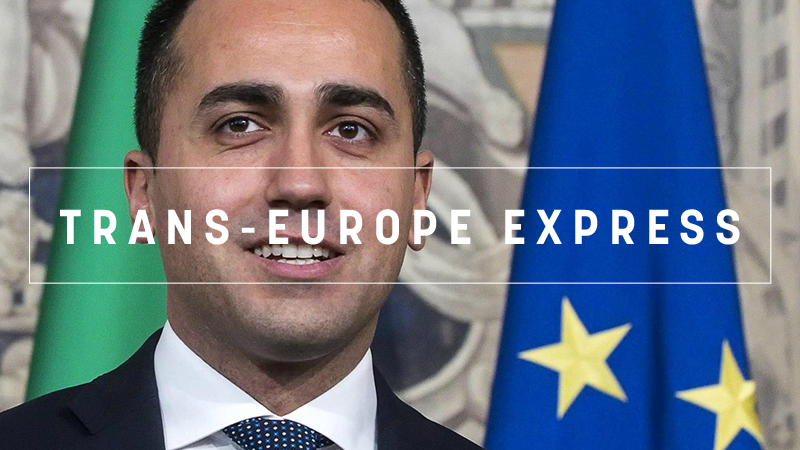 If 5-Star were in ALDE today, a cabinet led by Luigi Di Maio would not scare the markets, or make Russia’s Vladimir Putin appear as the winner of the Italian elections. As 5-Star is on the verge of reaching a government deal with the Northern League (now self-styling itself simply as the League), their coalition agreement proposes that EU sanctions against Russia be dropped immediately. Of course, there are ideological differences between 5-Star and the European liberal parties. But part of the purpose of the mainstream European political families is to educate their new members. Most of the Eastern European parties that joined the Socialist political family twenty years ago were genuinely communist, now some are (arguably) social-democrats. It’s true that the EPP hasn’t always been successful, at least with Viktor Orbán’s Fidesz, but by not excluding him they still keep some leverage and prevent his force from starting a new illiberal and nationalist European project. There is a temptation today for new forces, such as Emmanuel Macron’s En Marche, to establish their own European movements instead of joining the existing ones. This is another reason why ALDE’s rejection of 5-Star was a misstep. If you can’t beat them, co-opt them. The clock is ticking. Britain will leave the customs union, says British PM Theresa May, but she insists that there will be no hard border with EU member Ireland. Now or never. According to France, the euro area won’t survive without reform. The country is now stepping up the pressure on hesitant Germany, a few weeks ahead of a crucial European Council summit. Border watch. Poland, holding the presidency of the UN Security Council, has asked for the deployment of a UN peacekeeping force in Ukraine’s conflict zone, as violations of the Minsk II peace agreement continue. Workers on the move. Czech firms in the south-west are facing labour shortages as increasing numbers of residents living close to the border commute to Germany for work. Fighting forgery. Austria’s government ‘declares war’ on social fraud and organised illegal work. Ending political deadlock? Italy is on the brink of finally getting a new government as the 5-Star Movement and the Lega Nord on verge of reaching a coalition deal with controversial content. Leading the way. Ahead of a much-anticipated proposal from the Commission, the Netherlands called on Europe to aim high on emissions standards for trucks and cars. Double standards? ‘Kosovo is not Catalonia’, Kosovar President Thaci told absent Spanish PM Mariano Rajoy at the Sofia EU-Western Balkans summit. However, Pristina acknowledges the sensitivity of the issue. Going nuclear. Six years after freezing the construction of a second nuclear power plant, Bulgarian PM Boyko Borissov intends to restart the project with the help of Chinese investors.